AWESOME!! It was great to hear Francesco mention the call in feature of Blog Talk and looking how to intregate down the road. This is why I am so excited about the merger. And congrats Rob on the new title. And head of content for both will be in great hands with PodVader. Great news!!!! I started in BTR in 2012 and left in 2015. Slide show instead of a single episode image; and automatic announcement to selected social media at the start of the show with a blurb about the show. Chat client does not work with all browsers and versions; inability to pre-record and pre-schedule a show to start without having to call in and start the audio for it. Thanks, Dave! See you in Philly! Great show guys as usual. So awesome to have met you both ,hang out with you, and see Rob get the Hall of Fame award @PM17. I'll be at Philly ,I'm already registered at the reduced price early bird rate. If you up-load a pre-recorded show to BTR, in order for the show to start, you have to call in the host number and put in a PIN number and play as soon as the show starts. BTR has a chat room that did not work with Firefox or Opera. Visual slide show is a current Blog Talk feature as is the social media start of show announcements. 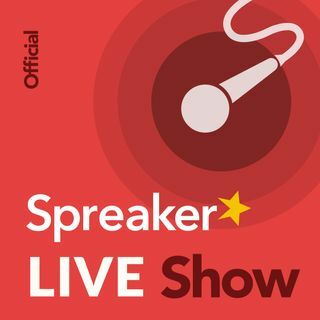 They wanted us to have 100 followers on Spreaker before we could submit to i-Heart. I have our shows on Facebook, Twitter, Sound Cloud, i-Tunes, PlayerFM and three different web sites. The new home page looks clean and crisp! Question, With your new front page, why isn't there a section for literature or books? There are TONS of book/literature driven podcasts out there (including my own). Also, when you have a show that has two focuses (again like my own), where its 50% tv and 50% books, which category would you recommend it go in for best discovery?